All COVE AT SUN PEAK homes currently listed for sale in Park City as of 04/25/2019 are shown below. You can change the search criteria at any time by pressing the 'Change Search' button below. 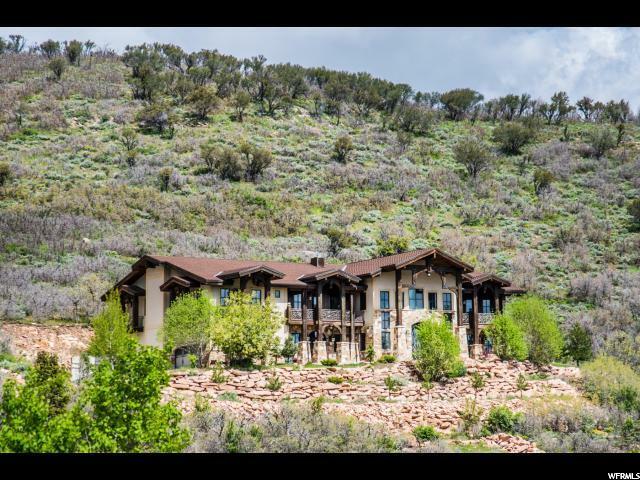 "Extraordinary architecture with 14 inch wood posts soaring above 30 feet, cathedral beams, stone work, marble, multiple view windows and balconies only begin to describe this 8000 square foot home on 2.82 private acres. Unparalleled views of Silver Springs Lake and Swaner Nature Reserve, this stunning home features 6 bedrooms including 1000 square foot Master suite, 5 1/2 bathrooms, 7 fireplaces, theater room, office, wet bar, Chef's kitchen, formal dining room, 2 laundry rooms and outdoor Jacuzzi. This home is a must see! Only 1 mile from Canyons Village Ski Area, 5 minutes to Park City Ski Resort and 35 minutes from the Salt Lake City International Airport. "